I.N.K. : Happy TENTH Anniversary to the Mars rover Opportunity! Happy TENTH Anniversary to the Mars rover Opportunity! 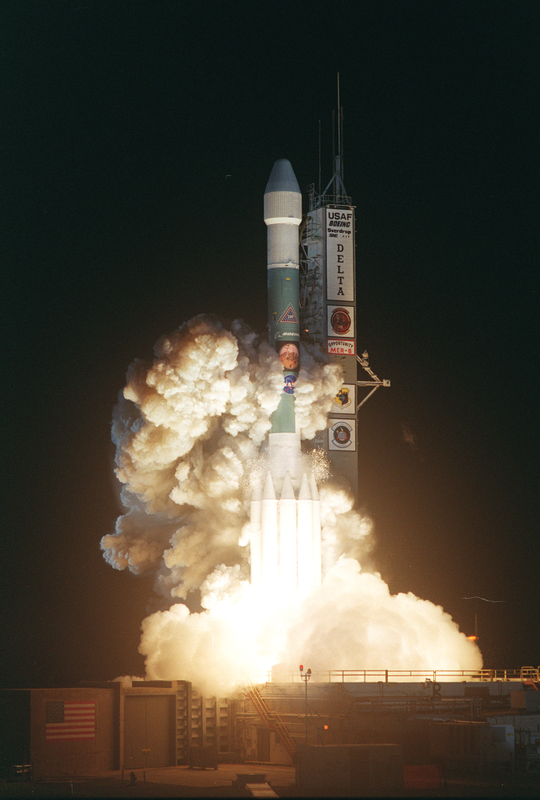 On July 7, 2003, tucked into a Delta 2 rocket, the rover Opportunity blasted into space headed to Mars. On January 24, 2004 PST (Jan. 25 Universal Time), the rover was dropped onto the surface of Mars wrapped in airbags, where it bounced 26 times before coming to rest in a crater. This little rover, about the size of golf cart, was designed for the three-month mission to find signs of past water on Mars. Tomorrow marks the 10-year anniversary of Opportunity’s mission on Mars. TEN YEARS!!! HURRAH! WHOOT WHOOT! I MEAN, CAN YOU BELIEVE IT PEOPLE??? TEN YEARS!!! 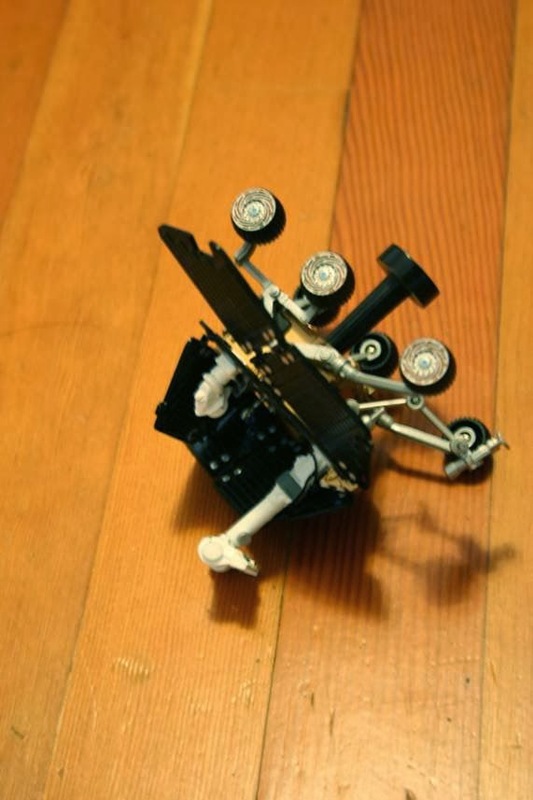 It was a three-month mission and this little robot, which was not designed to survive even one Martian winter, is STILL EXPLORING MARS TEN YEARS LATER! It is a miracle. This is perhaps the most successful space mission EVER! I don’t get to write like this, in all caps and with multiple exclamation points, in my books for children, but this is how I feel about this mission and this rover. I am astounded. I am in awe. I cannot believe that a dream and the work of a bunch of scientists and engineers have given us a ten- year tour of another planet. 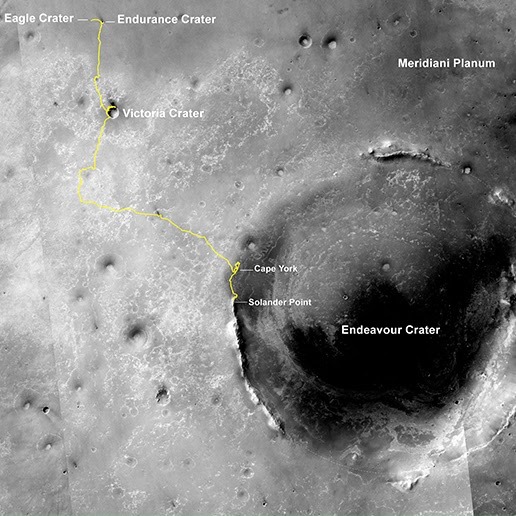 Opportunity is currently exploring the rim of Endeavour Crater, near an outcrop that may contain clay laid down in a watery past. Signs of past water have been found before, but evidence suggests that unlike the battery-acid-like water present on other parts of the planet, the water here may have been neutral enough to have once sustained life. LIFE! See Space.com’s slide show of the top ten discoveries from Spirit and Opportunity’s mission. Enjoy these stunning photos from a decade of exploration. Check out a slideshow about why the rover lasted so long, at NASA’s 10-year anniversary page. Print out free posters, calendars and stickers. Read the story of girl who was in eighth grade when Opportunity landed on Mars and is now an engineer on the mission. Teachers, there is so much this mission offers to inspire your students. 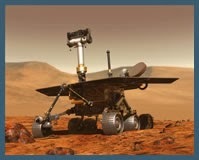 As the mission continues to unfold, Opportunity gives you an incredible opportunity to connect reading, writing, science, history, news, books, videos, and primary source material easily available on the internet. A teachers’ guide to my book The Mighty Mars Rovers offers discussion questions, hands-on activities, and resources. You can also find good ideas in two Common Core guides, one short and one long. When I started writing The Mighty Mars Rovers, my husband bought me a little scale model rover to keep on my desk as inspiration. But my model kept falling off my desk and breaking. Perhaps my desk is a more hazardous place than Mars. Or perhaps we humans are capable of much more than we can even imagine. Images courtesy of NASA/JPL, except for the last one, which I took myself. This is so neat you can celebrate 10 years later and have a book to go along with it! Thanks for all these resources. 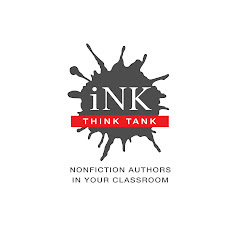 BOOK BAIT: 10 Ways to Hook Kids On Nonfiction! New book list is up!